Sears World Headquarters is 5 miles from this Hoffman Estates, Illinois hotel. The hotel is surrounded by a scenic walking path and provides an indoor pool and free Wi-Fi. Guests can use the coffee makers, microwaves and refrigerators in each room at the Hampton Inn & Suites Chicago-Hoffman Estates. 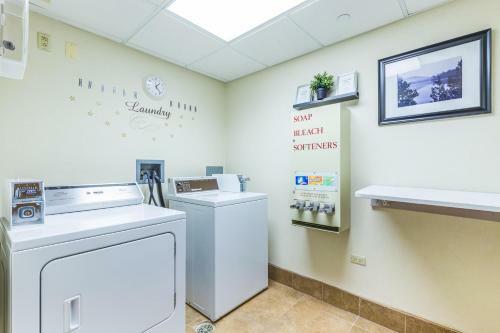 Other amenities include cable TV, ironing facilities and a hairdryer. The Chicago Hampton Inn & Suites Hoffman Estates features a local area shuttle service to nearby businesses including Siemens, Citigroup and Allstate. A gym, a 24-hour front desk and a 24-hour convenience store are located on-site for added convenience. the hotel Hampton Inn & Suites Chicago-Hoffman Estates so we can give you detailed rates for the rooms in the desired period.